•This new hybrid was developed in the U.S.A and tested in South Africa. •Multicut has been bred to surpass many of the existing hybrids in dry matter production,protein and content, disease and drought tolerance. •Also for rapid re-growth under heavy grazing and unfavourable growing conditions. •Under optimum conditions , Multicut will utilize available nutrients and moisture to maximise dry matter and protein production. •Good management produces high tonnages with superb feed values. •Treated with Captan,Raldan & Colinel red. •Multicut can be grazed,cut for hay,sileage or fed as green chop. 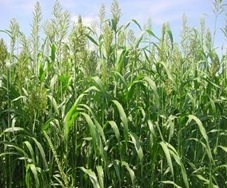 •Initial growth is quick,grazing within 3~6 weeks after planting. •Re-growth and tillering is rapid. 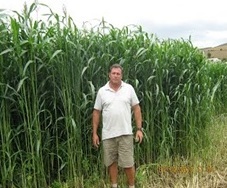 •Multicut can grow 50mm a day and to a height of 3m. •Multicut can be looked on as stress insurance,recovering well after dry spells and responding rapidly to any available moisture. •Multicut will ratoon after hail or insect damage. •Because of its versatility,Multicut can be used as high energy feed for high producing dairy or beef cattle, as well as maintenance rations for breeding stock.